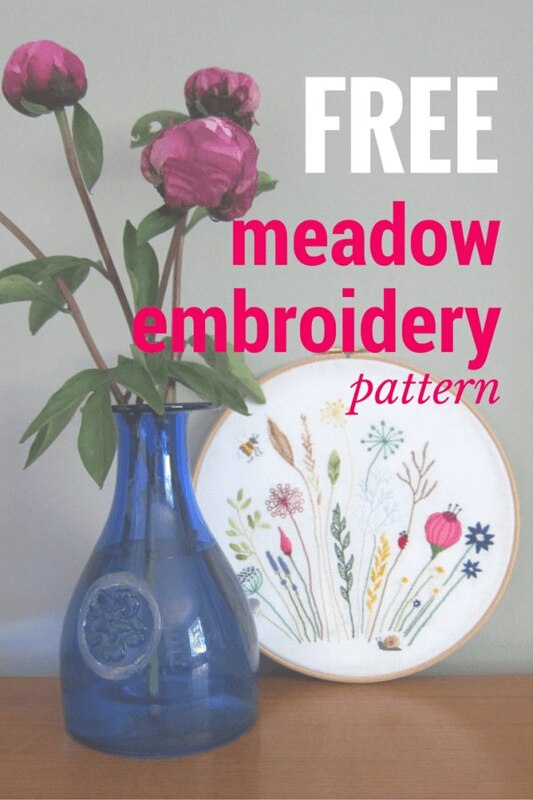 Today’s post is a free embroidery pattern that I designed for my Granny’s birthday. 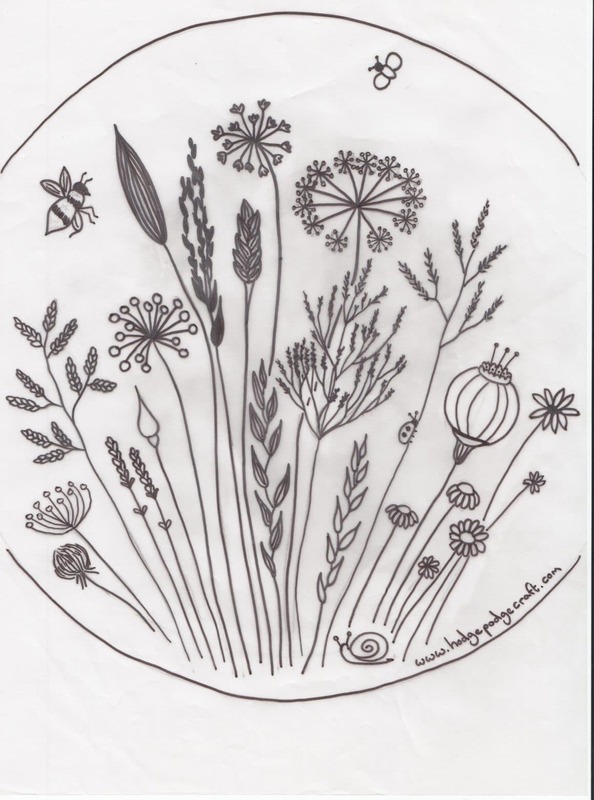 I wanted it to look like a cross-section of a meadow, with lots of grasses, seed heads and small insects. 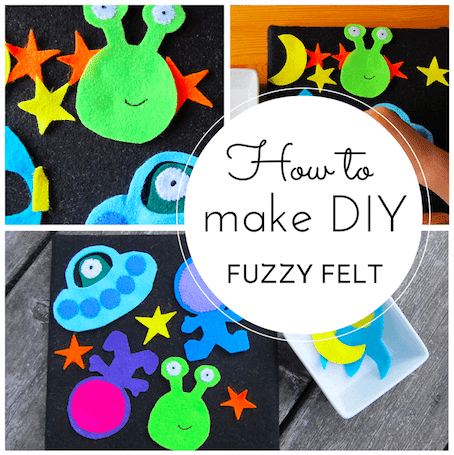 Take a look at the pictures and download the pdf if you fancy making it yourself! 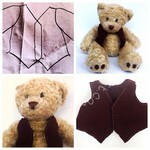 Start anywhere you want and stitch over the design in your choice of colours. I did not use the natural (correct) colours for most of my plants, but I still think the design works. Of course I did use traditional colours for the the bugs! I used a combination of back stitch, whipped back stitch, stem stitch, satin stitch, seed stitch, french knots and fishbone stitch. Again, this is not an exact science, so choose whatever stitches work for you (or learn a new one)! 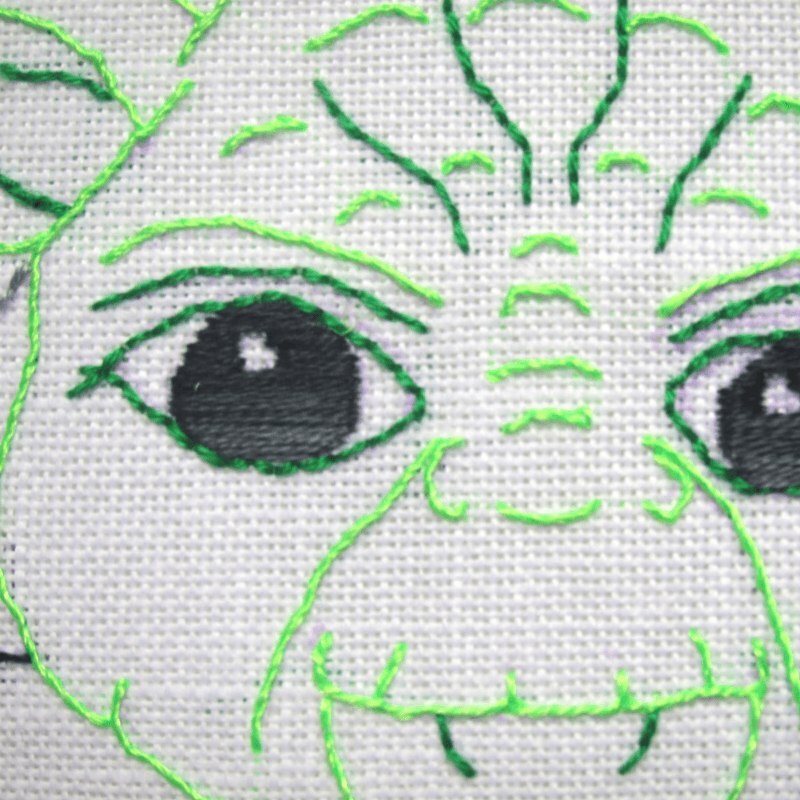 Follow the awesome step-by-step tutorial from Sew Mama Sew to finish and frame your embroidery in the hoop. 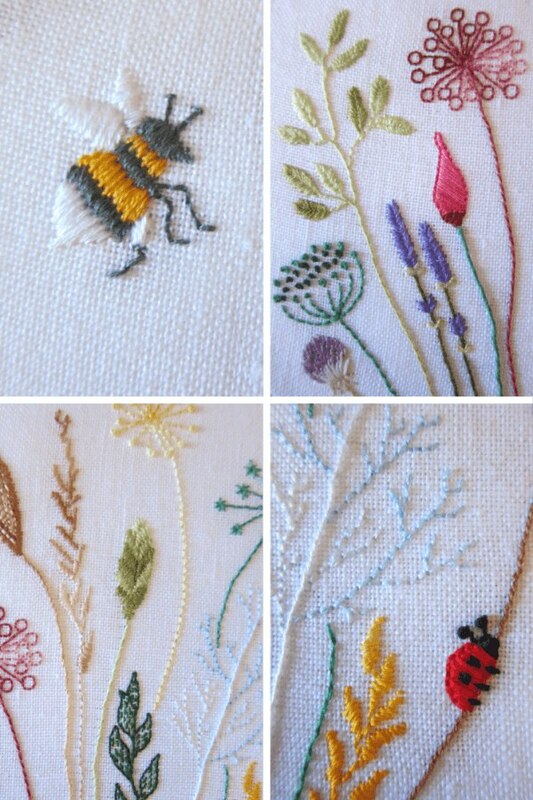 I really enjoyed this stitching project and I especially love how the bugs and snail turned out – so cute! How beautiful! 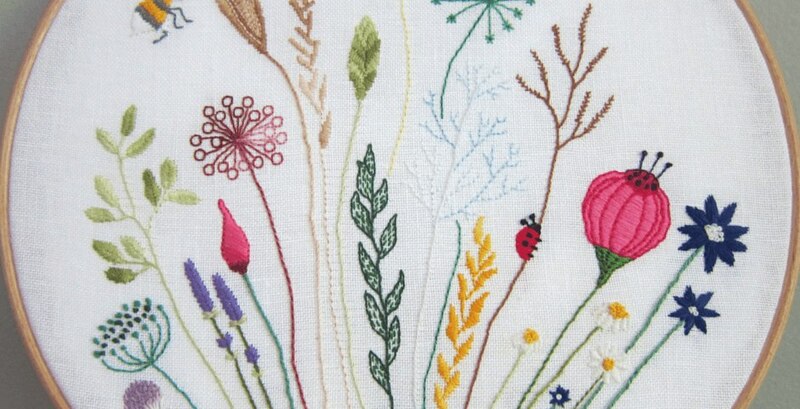 I’m planning on making some wildflowers for my first embroidery project, and this will come in really handy. 🙂 Thank you! 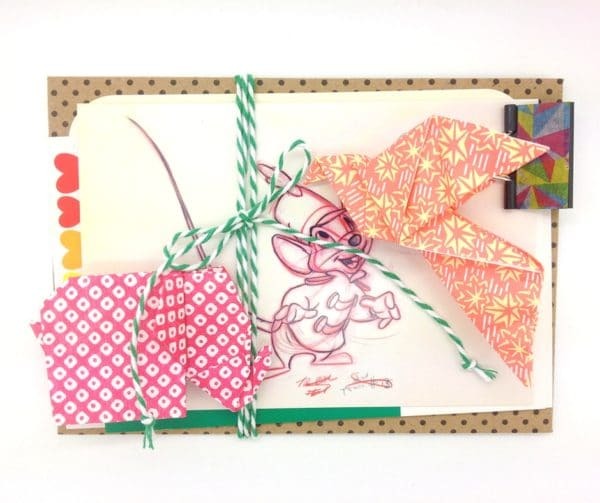 This is beautiful and beyond perfect for the project that I am hoping to make. Thank you so, so much for designing it and generously sharing it! I going to do it tomorrow because here it is a hollyday… Thanks for so marvelous one. This is so pretty. My grandmother would have loved it to. Thank you so much! Lovely design! 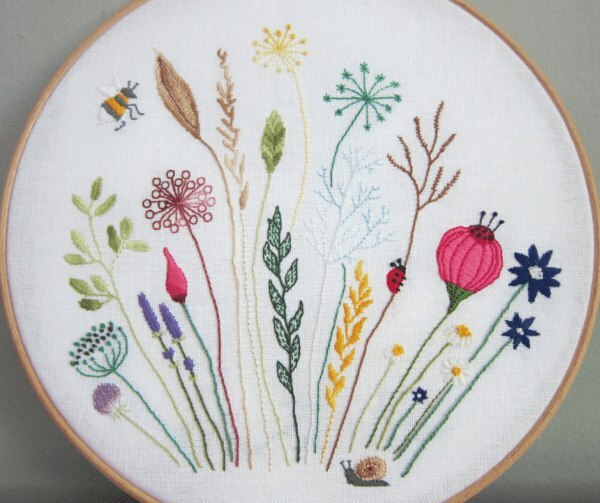 What stitches did you use for the purple and white bulb like flower in the very bottom left corner? Thank you for this georgous pattern. Just starting with hand embroidery, can’t wait to get started.